The first quarter of 2018 is just about to close and Vivo already has quite a surprise up their sleeve for their loyal customers. 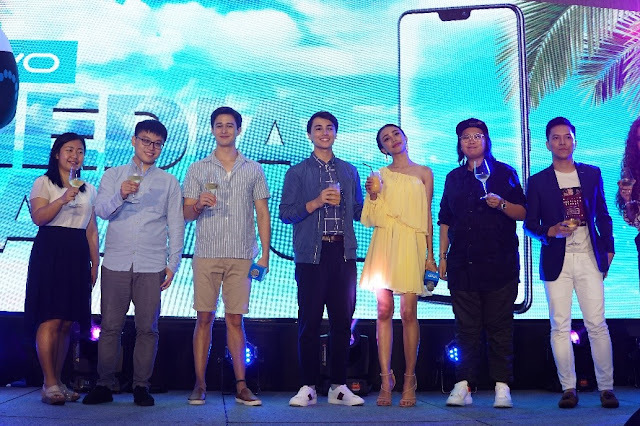 First, the 5th in the 2016-2017 Leading Global Smartphone Brands, is shaking up the smartphone industry with the release of its newest flagship, the Vivo V9. This latest smartphone offering from Vivo boasts not only of the brand’s thumbprint selfie-centric camera but also of artificial intelligence-powered beautifying tools for even further beautiful shots and a super HDR mode which ensures that each photo comes out clearer than ever, with the most vivid of colors.The V9 also rocks a bigger display complemented by a full HD resolution along with the futuristic Face ID and fingerprint unlock component. Second, Vivo fully knows its audience and as such, makes sure to get their brand message across through only the best of influencers. This 2018, Vivo introduces two new brand endorsers, Pinoy Big Brother (PBB) heartthrobs Edward Barber and Ivan Dorschner. Edward Barber could not hide his happiness after it was announced that he was signed as Vivo’s newest endorser. Is it because he is now finally “reunited” with Maymay Entrata? Edward Barber made waves in the local celebrity scene after placing fourth in PBB and for making up half of the most popular love team to date, MayWard together with another Vivo brand endorsers and PBB Big Winner Maymay Entrata. Of British-German and Filipino blood, Edward is not just a handsome face. In his young showbiz career, Edward has already been recognized for his talents on the screen and on stage. Edward is also a fervent philanthropist and is a co-founder of charity group the ELM Tree Foundation alongside love team Maymay. ELM Tree Foundation vows to care for underprivileged and vulnerable children in the Philippines. With his almost a million followers on Instagram, Edward is proving that his huge following is telling of his great and positive influence to the young demographic. In fact, he is one of the most popular actors of his generation. He is also a sought-after for magazine covers. At his young age, he landed on the cover of the January 2018 issue of the MegaMan magazine-- a feat that only a few of his generation can achieve. He also appeared on the cover of Mega magazine with Maymay for the same release month. Vivo believes that with his charm, good looks, and talent, Edward can bring the brand to greater heights. With Edward in its roster of celebrity influencers, Vivo has a surefire spot in positive brand presence. had praises for Vivo V9’s “clean” look. Ivan Dorschner’s young showbusiness career is steadily going up the ladder to stardom. He rose to fame after joining a reality show in 2010 and later pursuing a career in entertainment in GMA7 where he starred in a couple of the network’s teleserye hits. Born in Los Angeles, USA to a Filipino mother and an Irish-German father, Ivan has modeled both in the Philippines and the US. Prior to his showbiz stint in the country, Ivan was a student studying Bio-Science at an American college, later switching to International Diplomacy studies before putting his education in temporal hiatus to make way for his showbiz career in the Philippines. Ivan also partnered with his fellow Vivo endorser Barbie Forteza in the blockbuster GMA Network primetime series, &quot;Meant To Be.&quot; With the success of this hit series, Ivan has been groomed as one of the network’s next generation of leading men. 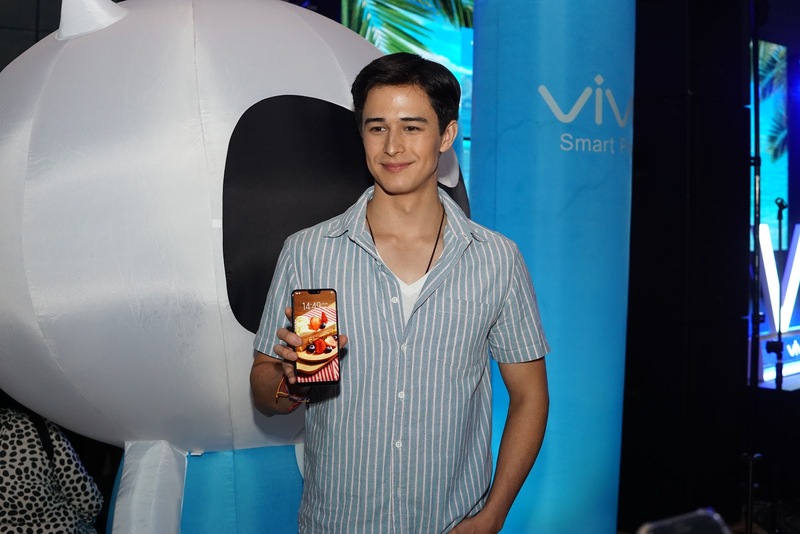 The new Vivo influencer has quite a following on social media—one reason why Vivo chose to sign him up as one of its brand endorsers. Ivan is popular on both Twitter and Instagram with 414,000 fans and more than 300,000 followers respectively. Although Ivan&#39;s fame has been growing over the years, he has remained approachable and accommodating to fans. With Ivan included in its roster of celebrity influencers, Vivo’s positive brand presence is certain. His joviality will surely help Vivo connect to its loyal patrons and reach out to potential consumers. Vivo has dominated the smartphone limelight in the local scene and with the impressive names in the Vivo Family, the brand should very well expect a meteoric rise to greater heights this year and the years beyond.